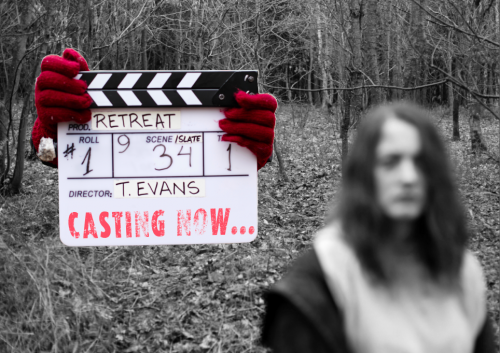 We are looking for two leading cast members for our feature film Retreat, which will shoot next year. It is backed by the BFI, BBC Films and Creative England and is an iFeatures production from Escape Films & 104 Films. The film is being written and directed by acclaimed deaf film-maker Ted Evans, who is responsible for some of the most exciting shorts in recent years, including The End and To Know Him. Initially we are looking for two deaf cast members who are fluent in BSL to play the roles of Eva and Matt. The roles are challenging and the production is the first of its kind in the UK. Please see full details of what we are looking for in document form our website. You can find it in BSL on our Vimeo. We are open to applications from both experienced actors and non-actors.